When describing a beautiful smile, most people start with the color of the teeth. A bright, white smile is preferred to one with dull, gray, or yellow teeth. Unfortunately, daily brushing and flossing aren’t always enough to keep the teeth as white as most people desire. Even if bacteria, sugars, and food particles are cleaned, many foods and beverages can have lasting staining powers. Teeth whitening minimizes surface stains and brightens the teeth to provide patients with the white smile they desire. Cosmetic dentist Bruno Lemay offers professional at-home teeth whitening treatment that can lighten the teeth by several shades. This cosmetic dentistry treatment is one of the safest dental procedures available and requires no recovery time. However, there are minimal teeth whitening side effects that may be experienced by our Rancho Mirage, CA, Palm Springs, CA, and Palm Desert, CA patients. Dr. Lemay is happy to prepare his patients for these side effects as they prepare to undergo teeth whitening treatment. Dr. Lemay is happy to offer patients at-home teeth whitening. 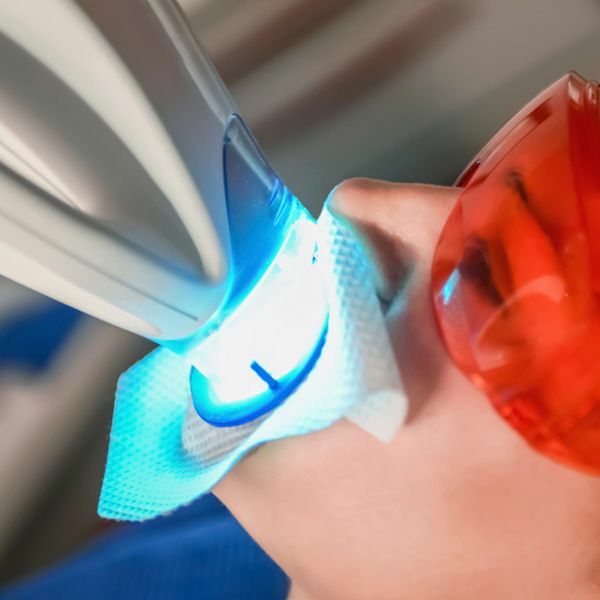 This treatment combines the power of professional bleaching agents with the convenience of typical over-the-counter teeth whitening products. To ensure optimal safety and effectiveness of treatment, each patient is provided with custom teeth whitening trays. These trays fit closely against the patient’s teeth to prevent harsh bleaching agents from coming into contact with the delicate soft tissues of the mouth. Patients will fill these trays with the professional whitening gel that is provided by Dr. Lemay, and wear them for the recommended amount of time. Within a couple of weeks, patients will notice significant improvement in the color of their teeth. When patients purchase over-the-counter teeth whitening products, the risk of side effects or complications is fairly high. Many people make mistakes applying these products, or keep the bleaching products on for too long. As a result, soft tissue damage and tooth sensitivity can be a problem. With Dr. Lemay overseeing the at-home teeth whitening treatment he offers to patients, the risk of complications is low. In addition, side effects are minimal. For those patients who do experience side effects after teeth whitening treatment, the most common is a slight increase in tooth sensitivity. For the first several days of treatment, patients may find that the teeth are more sensitive to extreme temperatures. This sensitivity usually lasts no more than a week and can be controlled. If patients do notice increased sensitivity while undergoing teeth whitening treatment, we recommend that they avoid extreme hot and cold temperatures until the sensitivity subsides. Patients should also brush with a soft-bristled toothbrush and toothpaste that is designed for sensitive teeth. Teeth whitening minimizes surface stains and brightens the teeth by several shades, providing patients with a brighter, whiter smile. If you want a safe and effective way to enhance the beauty of your smile, you owe it to yourself to learn more about professional teeth whitening treatment. Schedule an appointment with Dr. Bruno Lemay at your earliest convenience to find out if teeth whitening is right for you.